Minimum number of persons is 2. Should just 1 person take part, please note that the price is 2400 CZK/ 100 EUR/ 120 USD/ 88 GBP. The tours starts daily at 10 am and 2 pm every day. Side entrance to Rudolfinum palace (Palachovo square, near Staroměstská metro station, see the map below). Tours are provided in English but may also be provided in Russian or German upon request. Prague is beautiful but hilly! This offers lot of opportunities to take in marvelous viewpoints, all of which can be reach easily with our ebikes. 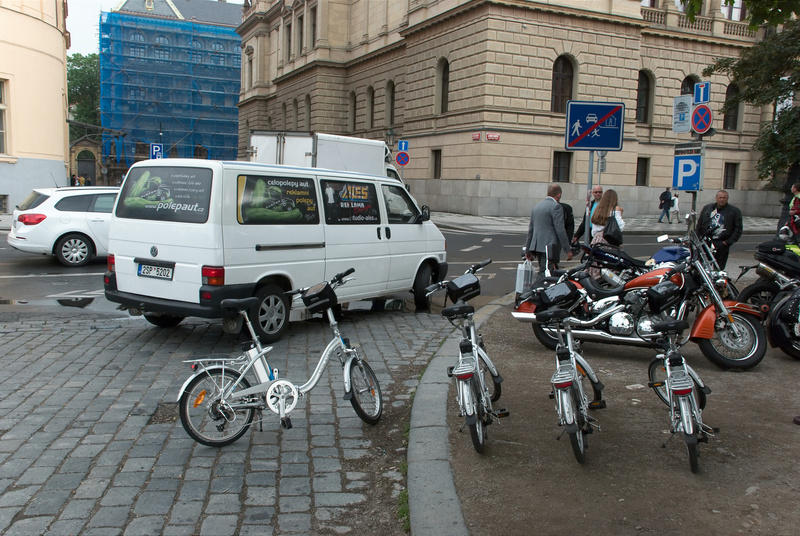 You can take part in our open ebike tour, in which we meet you at the side entrance of Rudolfinum palace located in Palachovo náměstí (square), at the Staroměstská metro station (see the map below). The usual maximum number of persons is 6 (but can be more upon request) so the guides have lot of time to respond to whatever questions you may have. 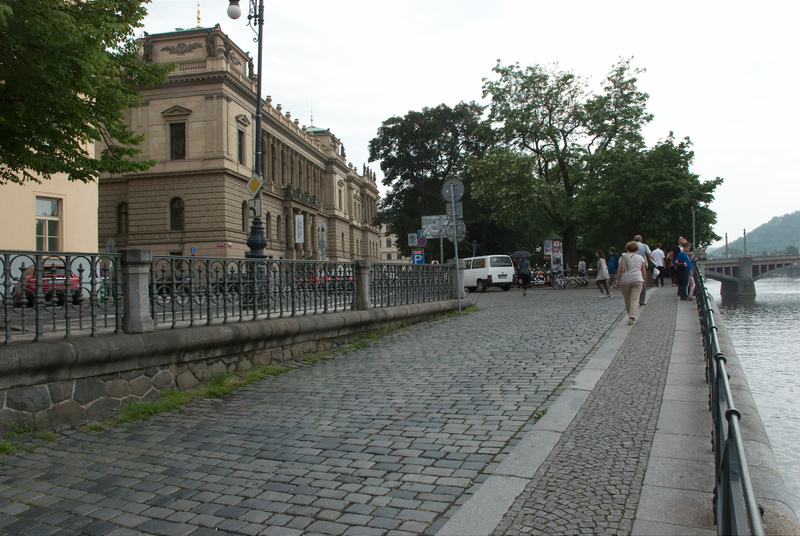 Our route is designed so that you get the most out of the hills and see the best that Prague has to offer including numerous charming viewpoints from which you can see the most well known and historically significant tourist sites, but also places which you would most likely never find if you were out exploring the city on your own. There are plenty of stops along the way where your guide will give you extensive information about the culture and history of each location. You will have a chance to ask any questions, take pictures, have the refreshment we are offering you and of course take a bathroom break. Should you be more interested in the Czech habits and culture, there is a chance to have a longer sit-down stop where you can ask all you ever wanted to know about the Czechs, including the Czech passion for the beer! We put great emphasis on your safety. We start with a short introduction on how to control your bike and we provide you with a helmet, which is a natural thing. If the group is bigger than 2 there are always two guides with you – one in front, showing the way, one at the back to ensure the cycling goes smoothly without any accidents or bike malfunctions. 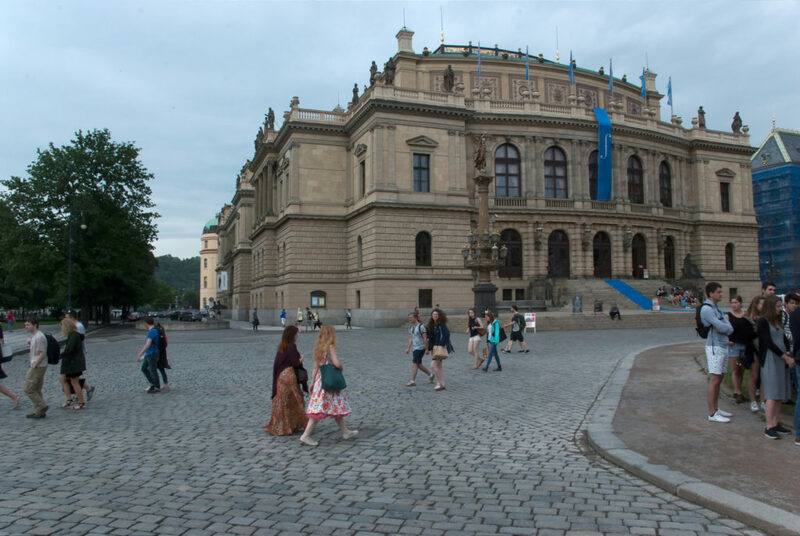 The route ends once we cover all the highlights described above whereupon we will take you back to the Rudolfinum, where you can easily reach the Old Town square or Charles bridge and continue your sightseeing experience.